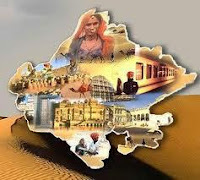 Rajasthan GK Questions in Hindi ( राजस्थान सामान्य ज्ञान हिंदी में): राजस्थान सामान्य ज्ञान ke Questions हिंदी Language with Free Download in Pdf Format. राजस्थान सामान्य ज्ञान के प्रश्नों का संगलन विभिन्न परिक्षाओ जैसे कि RAS, RJS, 3rd Grade., 2nd Grade Teachers, RTET, LDC, Patwari, Rajasthan Police Constable Examinations. ITs really very helpful for us,thanks a lot.please try to give us such information regularly.